Do You Know This Stamper? This card’s for the Hope You Can Cling To card drive over at Splitcoast. Today we’re to use some humor and a touch of pink. As a stamper, I can so relate to this scene. Except maybe her desk is too clean…LOL! This is a 4.25″ x 4.25″ square card so it will fit in a standard A2 envelope. The digital image has been colored with Copics, but I chose just to highlight different things throughout the scene rather than get carried away with coloring. Her shirt is paper pieced and that’s my jumping off point for choosing the colors. The only embellies on this are different colors of Stickles, again choosing to highlight different parts of the scene. Easy peasy! Again, have a terrific Thursday, everyone! I know this stamper! It's me for sure! Fabulous card! love the pieced pj's and your outstanding coloring! 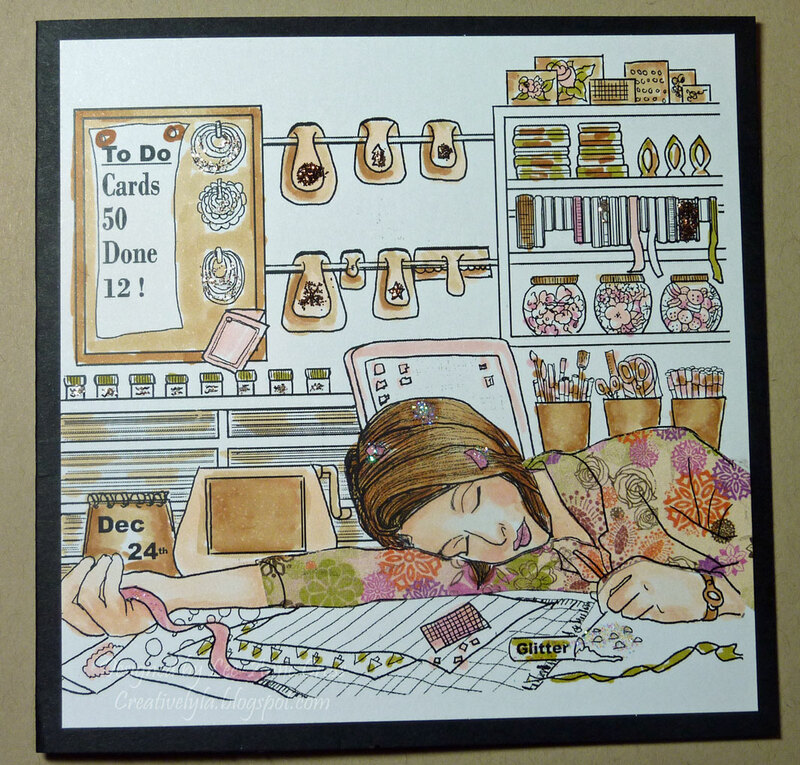 Great card and I love Sketching Stampers designs! Awesome issues here. I'm very satisfied to see your article. Thanks so much and I'm taking a look ahead to contact you.